August 4, 2018 BG Meters, Community, Fitness, Insulin pumps, Minimed, OmniPodStacey D.
I wore the OmniPod insulin pump for a few years so never had to worry about where to clip it on my clothing. Since switching back to a tubed pump a few months ago (Medtronic 670G if you were wondering), I’ve had to get used to again finding a place for my pump that is both comfortable and convenient. Most of the time it’s as easy as keeping it clipped to my pants pockets. But in some situations it’s not that comfortable or convenient keeping it that way. One of those situations is exercising. I usually wear leggings or biking shorts/pants when I exercise and most of those do not contain pockets. I certainly could (and have) just clip it somewhere on the pants but that’s not always comfortable. So when I received an email to try out the newly designed SPIbelt, I was all for it! SPIbelt isn’t new to me, I’ve heard good things about them. But when I received the new belt, I saw how convenient it is for insulin pump users. There is a reinforced hole that secures the pump tubing through it. This is fabulous. Also it’s big enough to carry other supplies like glucose tabs, a small meter/strips or a Dexcom receiver. Even if you are not having to carry around diabetes supplies it is a great accessory to carry secure headphones, hold a phone, keys, money, ID, etc. If you haven’t already, I would highly recommend checking it out. The lovely people at SPIbelt have provided a coupon code for my readers for 15% off a SPIbelt: EYESPI. Enjoy! October 30, 2013 Advocacy, BG, Community, Education, Events, FitnessStacey D.
I posted about the Big Blue Test last year. And I’m going to reflect back on that post since the initiative is going on again this year! 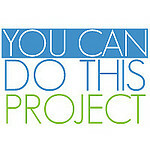 If there are 20,000 tests logged by November 14, 2013, the Big Blue Test grants (St. Anthony’s Medical Clinic in San Francisco, CA and University of Colorado, Skaggs School of Pharmacy and Pharmaceutical Sciences in Aurora, CO) will be funded to provide people touched by diabetes who are in need with lifesaving supplies, medical tests, treatment, and/or patient education (each will receive US$2,500) and an additional US$5,000 will support projects in Haiti and the Dominican Republic. One of the things that I struggle most with in terms of my health and(or) diabetes management is consistent exercise. Usually I do well for a few weeks then work hours are longer or I have more things to do and I get off track. I’ve made a promise to myself recently that I am going to make it a priority in my life no matter what. What helps me a lot to stay motivated honestly is support and inspiration of others. When I see someone post about working out or read about the accomplishments of athletes living with diabetes or pass by someone who is running or riding a bike in my neighborhood, I want to get active. That is why I love the Big Blue Test. It is a movement started by the Diabetes Hands Foundation in 2010, to help promote the positive affect physical activity has not only on a person with diabetes’ blood sugar, but on everyone’s health in general. It is so simple. All you have to do is test your blood sugar, exercise for at least 14 minutes, test your blood sugar again and log it over at http://www.bigbluetest.org. 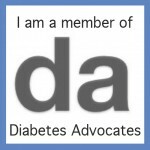 Those people without diabetes can participate also, just minus the blood sugar readings part. The best part is this: if 20,000 entries are logged by November 14th, Roche will donate $100,000 to organizations that will provide life saving diabetes supplies to those who need it the most. I know together, we can achieve this goal and help those less fortunate than us while helping ourselves stay healthy. I’ve logged my Big Blue Test three times already this week. Have you? October 2, 2013 Community, Emotions, Events, Family, Fitness, Fun, TravelingStacey D.
Yesterday was No D Day. 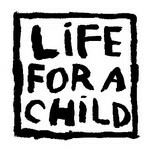 It is something that my friend George started a few years ago. 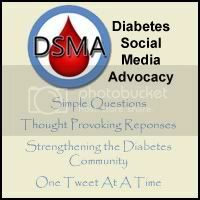 “It is one day a year when we all try our best to NOT mention diabetes online, all day. ALL DAY! We all spend a lot of time talking about Diabetes and our lives are filled with more that that disease. We are more that a disease!” While I am a day late, I still wanted to get my No D Day in. Pumpkin. It sounds cliche but I love pumpkin flavors or scents. My living room smells delicious with the wallflower scent of Sweet Cinnamon Pumpkin from Bath and Body Works. So do my hands for that matter with the same scent of cream. Who doesn’t love a pumpkin latte? I’m on the hunt for some pumpkin pie spice to add to my meal replacement shakes in the morning. And a pumpkin cupcake from Crumbs? I’m not even going there. A good workout. Honestly. I don’t know why I fought exercise for so long. 100% of the time when I am done, I feel great. Whether it’s a ride on my spin bike or one of the few programs I have at home, it’s all good. Easy days at work. I work for an investment bank so my job is a high stress environment. There are times when I feel too burnt out for my age after working in this industry since college. But there are those rare days that are not completely filled with meetings or deadlines or audits or issues. And I cherish those. Sleep. I am not one of those people who get up before their alarm on their own. Ever. Now that it is the time of year that it is dark when I get up during the week, it is so much harder to actually get up. I hate it. I count down the days until the next time I can sleep in! A good book or movie or TV show. I love when I’m reading a book that I cannot wait to get back to or even make extra time to finish reading. Any book by Elizabeth Joy Arnold is one of those. And thank goodness for Netflix! During our long trip to Boston over the weekend, I was able to start catching up from the first episode of New Girl. Hilarious show. I highly recommend it if you don’t watch it already. July 11, 2013 BG, Education, Fitness, FunStacey D.
I have always struggled with maintaining an exercise regimen. I’ve tried gyms and never stick with it so wind up cancelling my membership. I do my best working out at home so I have tried numerous workout programs. My generous hubby got me an elliptical a few years ago which did get some good use but not consistently. I liked the Biggest Loser Challenge game for the Wii for a while and Zumba for Xbox Kinect. Those didn’t last either. I even did a Kettlenetics program for a short time. I worked with Ginger for a bit and worked on some routines that she gave me. I didn’t mind them but wasn’t something I really enjoyed doing either (sorry G!!) . For some reason I never stay motivated enough to keep up with something. That is until recently. Working with Ginger, I learned how your body and BG are affected differently from different types of exercise. Ultimately weight training or intervals are better for losing weight as well as for managing BG. (I will not pretend to be the expert and get into all the details here! 😉 ) I’ve heard about programs like P90X and Insanity, that they are difficult but result provoking. For some reason though, I never had any interest in trying them. However, my fellow T1D friend Jen, posted a few times about a fitness program called Les Mills Pump on Facebook and it got me intrigued. I chatted a little with her about it and figured I’d give it a try. Well, I love it! It’s a 90 day program consisting of eight different workout DVD’s of lighter weight training at high repetitions. It comes with a schedule that you should adhere to that I don’t exactly follow but have been working out 4-5 days a week which is a HUGE improvement for me. Along with that program I am also alternating some HIIT spin workouts on my newer spin bike courtesy again of my generous hubby 🙂 Although the program is suited for 90 days, I can see this as something I’ll stick with much longer than that. Have I noticed any weight loss yet? Not exactly. But I am hoping to see a difference in my body soon. I am not only doing this to lose weight. 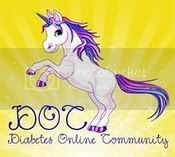 My BG have been fabulous (for the most part of course – it is diabetes we are talking about here) and I feel great. More important is that I actually look forward to working out when I get home from work or on the weekends and it doesn’t feel so much like a chore anymore! I truly find motivation from others. Their posts. Their pictures. Their stories. I hope that this pushes a little motivation your way if you are in need of some! Holding on to a Good Thing. October 25, 2012 A1c, BG, FitnessStacey D.
My last A1c about 6 weeks ago was not only one of my lowest ever but also close to a 1% drop in 3 months. 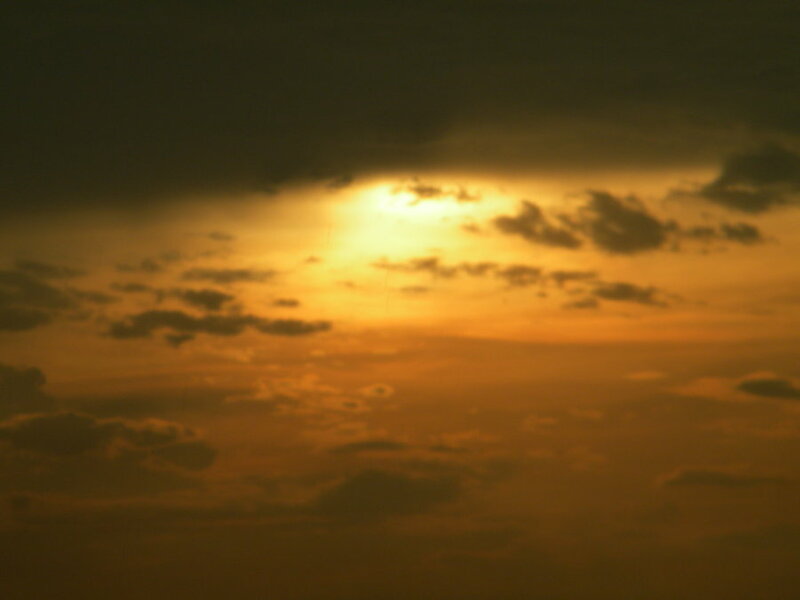 As ecstatic as that made me, I wasn’t completely satisfied with the result since I don’t exactly know what caused it. I have suspicions that it could have been my switch to primarily using a higher reading BG meter but not sure how I can prove that. Other than switching back to a lower reading one and hoping for a higher A1c again? No thanks. Now feeling even more pressure to hold onto that golden A1c, I am making more efforts to keep it there with ways I know how. With good BGs. As I’ve mentioned many times before, exercise and I have a love/hate relationship. I love to workout. (Honestly!) However my schedule sometimes hates to have time for it. With that being said, the past few weeks I have made a conscious effort to not fall off that exercise wagon. And I’ve been doing good, averaging workouts about 3-4 times a week. I’d love to do even more and when I can, I do. Additionally, I have changed my diet with the help of Ginger. For the past few weeks, I have been eating about half the carbs I used to, sometimes less. Now I didn’t eat a ton before but still more than I probably needed. And the difference in my BG readings has been phenomenal. I have had a fair share of “no hitters” in recent weeks. For me that means my BG is between 70 and 200 mg/dL for a full 24 hours. I am by no means saying things have been perfect. Because well, there is no such thing. But I’ve been very happy to see the type of readings that should result in a recommended A1c level. I plan to actually download my Dexcom results to take a peek at any new trends rearing their head. And maybe get an illustration of the differences I am seeing. *please note that I am not promoting changes for anyone’s lifestyle. This is currently what is working well for me and as we all know, not only does diabetes vary, so does health in general. October 18, 2012 Advocacy, BG, Fitness, RocheStacey D.